Spinal column trauma is relatively uncommon in the pediatric population, representing 1–2% of all pediatric fractures. However, pediatric spinal injury at more than one level is not uncommon. 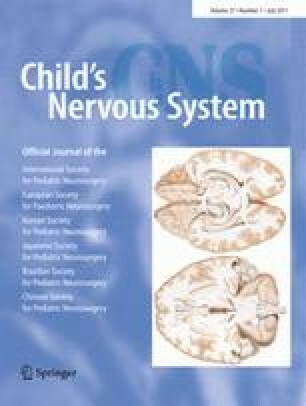 The purpose of this study was to evaluate the mechanisms and patterns of the injury and factors affecting management and outcomes of pediatric multilevel spine injuries. Patients with pediatric spine injury (183) were retrospectively reviewed. Patients (28 boys, 20 girls; mean age 12.8 years; range 3 to 16 years) identified with multilevel spinal injuries were 48 (26.2%): 7 patients (14.5%) were between 3 and 9 years of age, and 41 patients (85.5%) were between 9 and 16 years of age. Of the 48 patients, 30 (62.5%) were at contiguous levels and 18 (37.5%) were at noncontiguous. A total of 126 injured vertebrae were diagnosed. The cervical region alone was most frequently (31.2%) involved, and the thoracic region alone was the least frequently involved (12.5%). Overall, 73% of patients were neurologically intact, 4.1% had incomplete spinal cord injury (SCI), and 8.3% had complete SCI. Treatment was conservative in 36 (75%) patients. Surgical treatments were done in 12 patients (25%). Postoperatively, one patient (16.6%) with initial neurologic deficit improved. The overall mortality rate was 6.2%. Multilevel spine injuries are most common in children between 9 and 16 years of age and are mainly located in the cervical region. The rostral injury was most often responsible for the neurologic deficit. The treatment of multilevel spine injuries should follow the same principles as single level injury, stability and neurologic symptoms indicate the appropriate treatment.